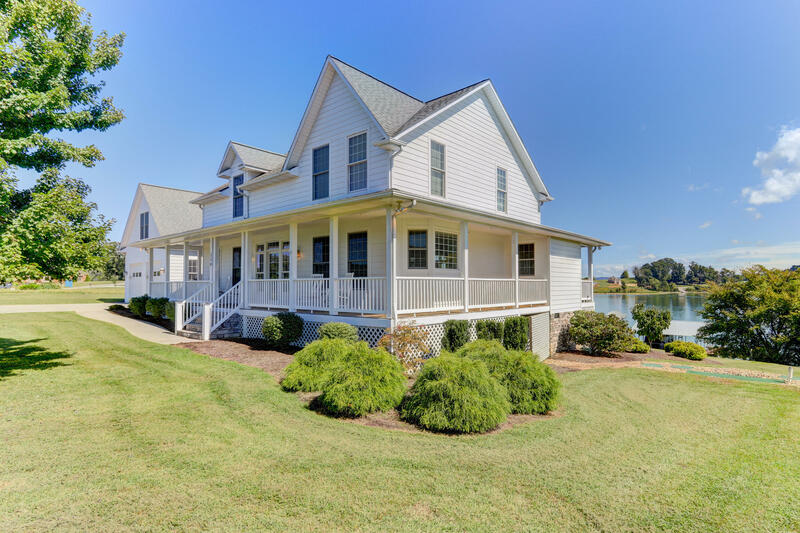 This lake front home has great views of Lake and Mountains from every window. Newer covered dock with lift and 3 jet ski ports. Some furnishings to remain with the home. Contemporary floor plan with open great room, brand new Pergo flooring, fabulous kitchen with granite countertops, wrap around porch with breezeway, separate bedroom & half bath above garage, master on main and great views of Chuck Swan. Community amenities include clubhouse, workout facility, swimming pool, tennis courts, security on site.